Roasted Chicory root has long been used as a coffee substitute or filler. The root crop does well in the rough NH farmlands, and lends a deep herbaceous note. Dandelion is a famous pairing for its bitter cocoa-like balance. The pair has gone hand in hand since pre-American Revolutionary history as a caffeine-free herbal tea. 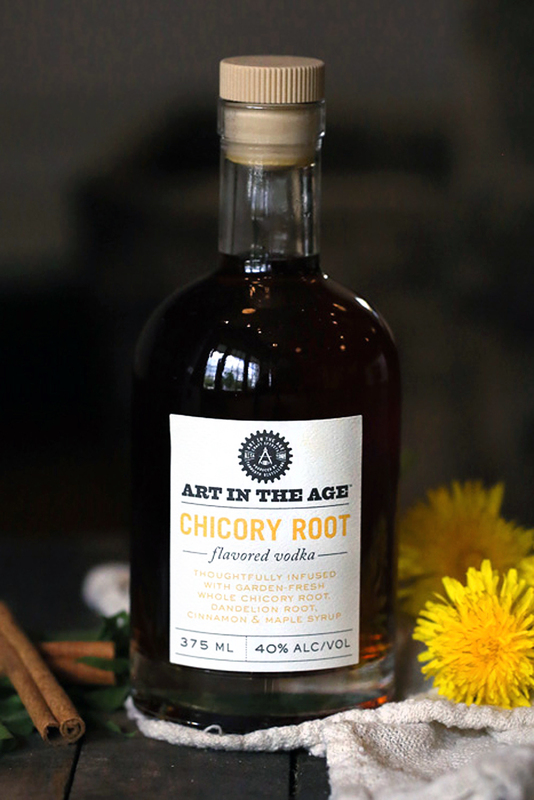 Our Chicory Root vodka was inspired by this history of roasted chicory root as a coffee substitute, offering a rich “dark roast” note balanced by the slight grassy bite of dandelion greens. Hearty rye seeds provide a grainy element to the spirit, while cinnamon and maple syrup combine for a sweet finish. 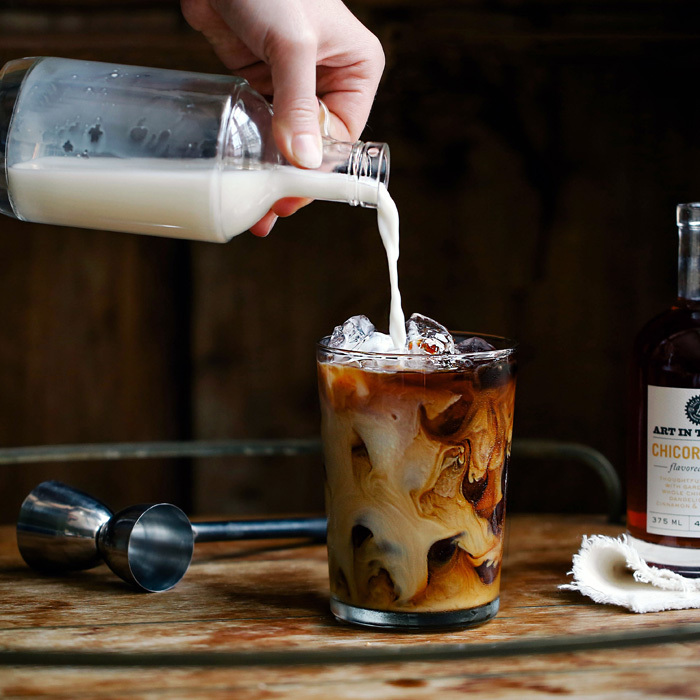 Combine chicory and bourbon over ice in a rocks glass. 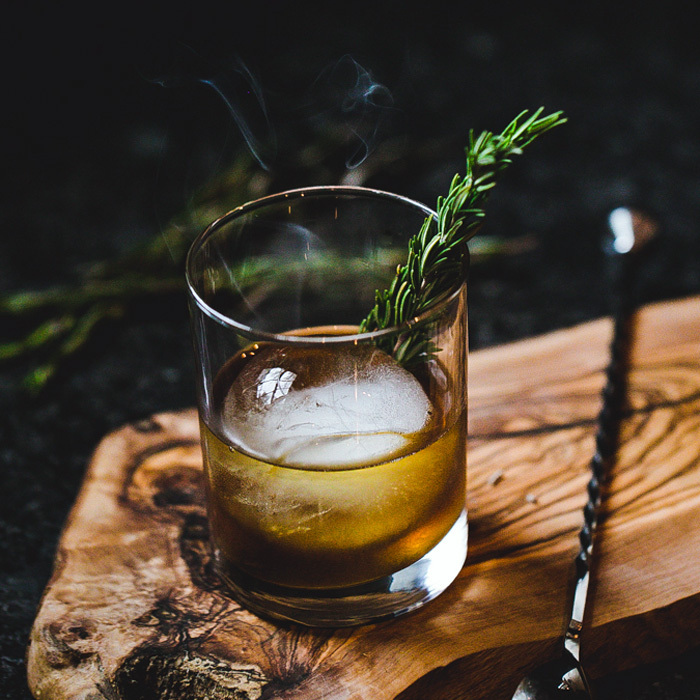 Stir and top with bitters and garnish with a stalk of rosemary. 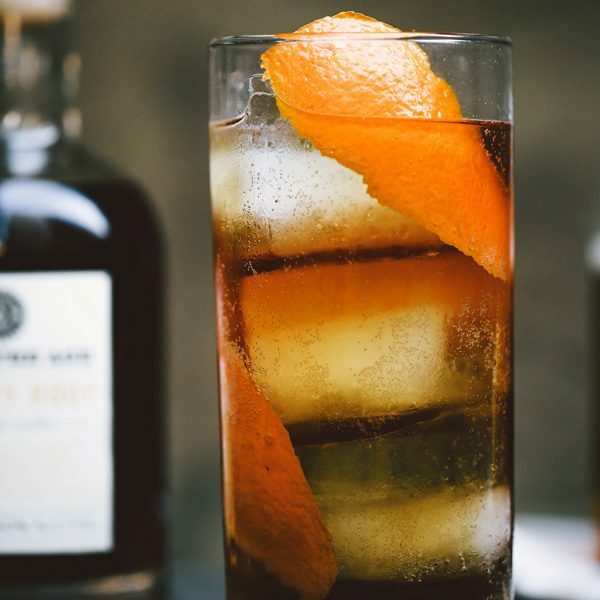 Build in a tall glass and garnish with an orange twist. Fill cup with coffee, chicory and brown sugar. Add cream to taste.